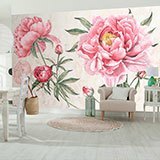 Wall mural Peony, the flower of the bride. 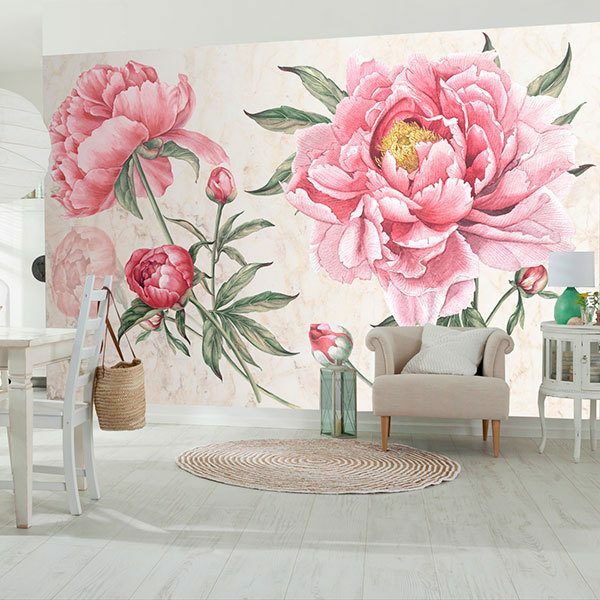 Illustration of peonies. 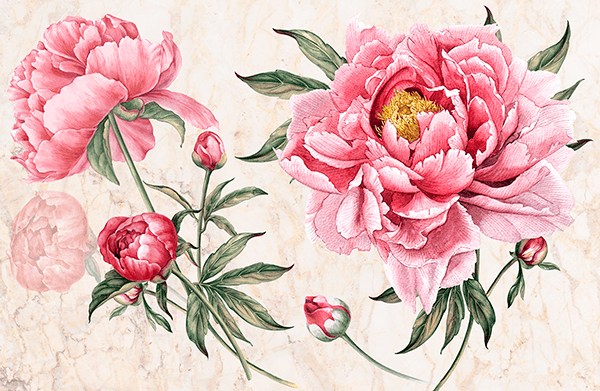 A flower of such beauty as the peony also has a beautiful symbolism. 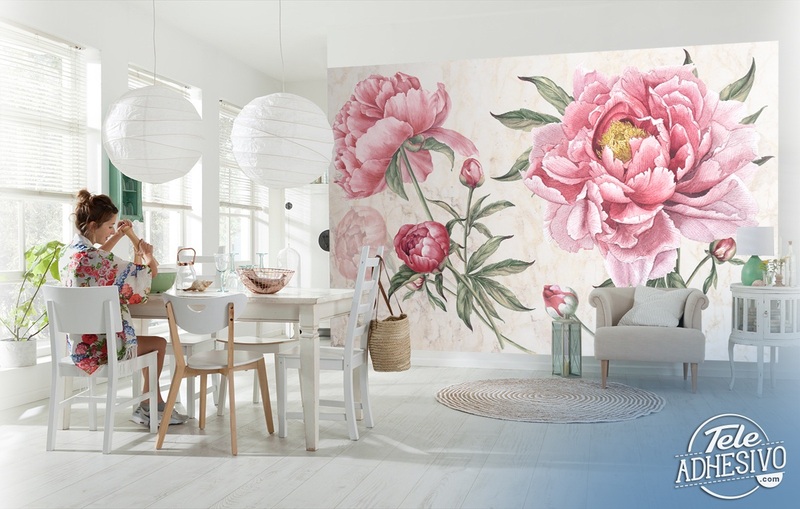 The peony is associated with love, happiness and beauty, among other things. ... The peony is one of the favorite flowers of brides.